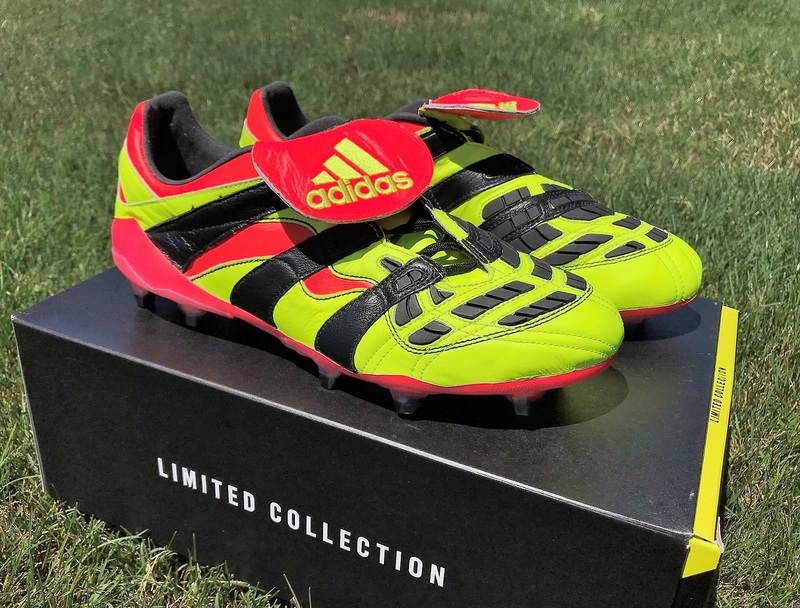 How good is the adidas Predator Accelerator “Electricity” remake? Incredibly good. 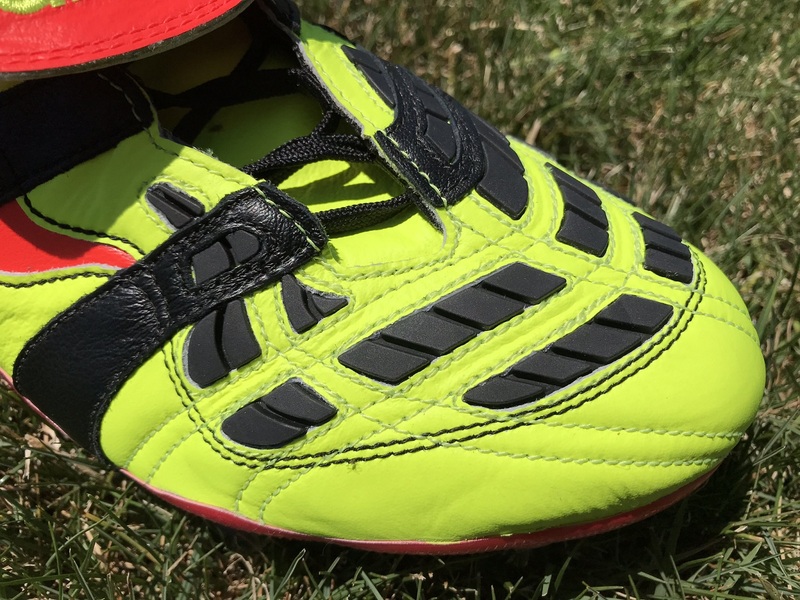 They have it all: the rare electric yellow colorway, iconic fold-over tongue in red, three stripes overlapping the cleat in classic black, soft kangaroo leather upper, iconic Predator strike zone. 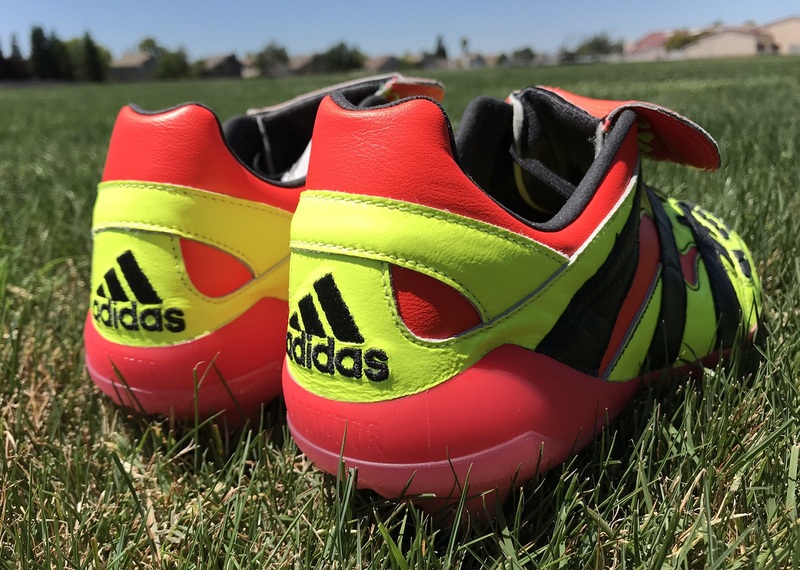 We have had plenty of adidas remakes in the past, and they have all been a huge hit. But what sets this Limited Collection version apart is the fact they mimic the original so well. 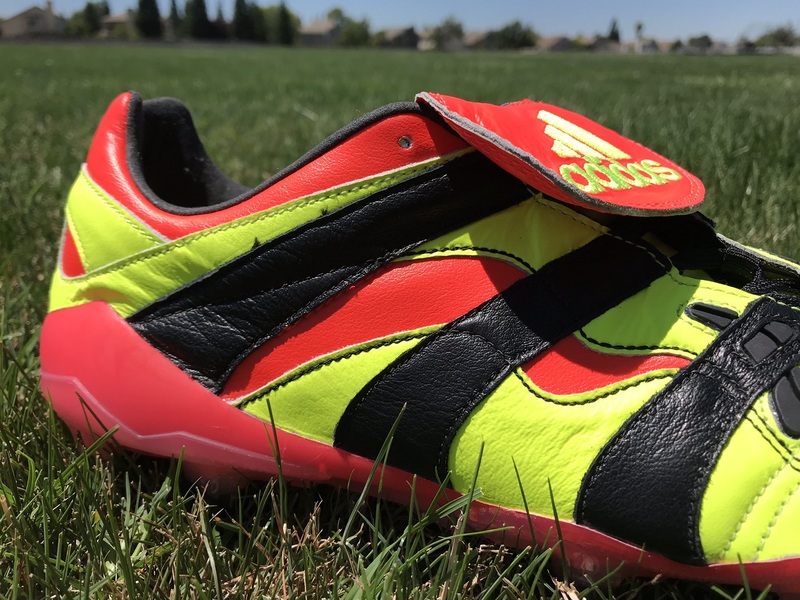 Rather than settling for a more modern approach, adidas took key elements from the original, like the k-leather upper. And the positioning of the Predator elements is right on point. 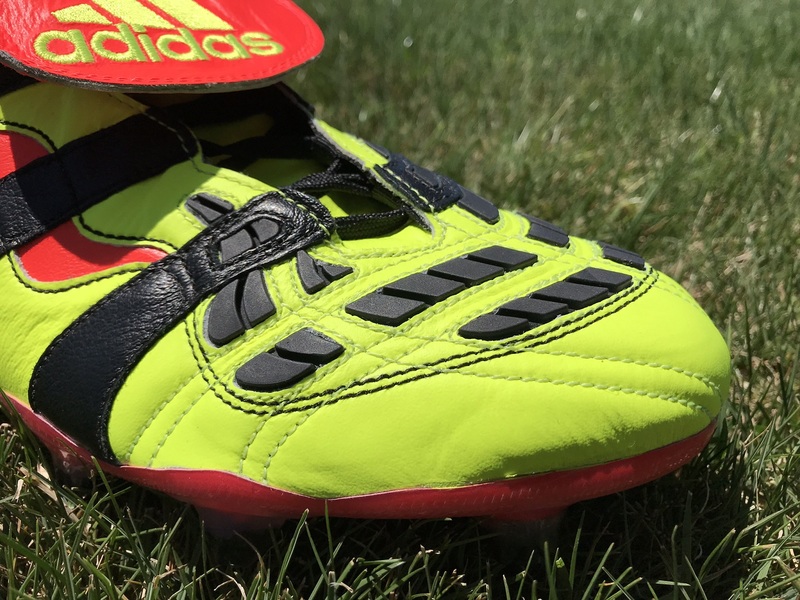 Originally released in 1999, the Accelerator Electricity was worn on pitch by legends such as Zinedine Zidane and David Beckham. 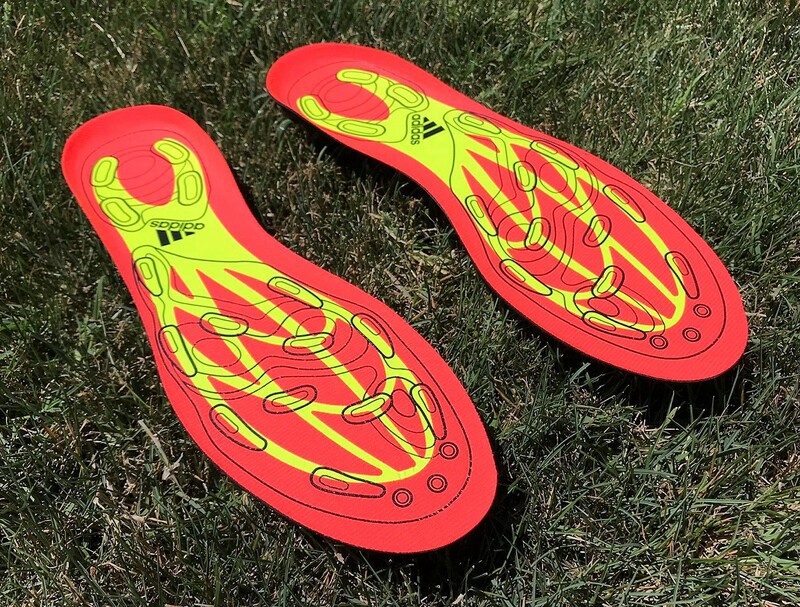 One of the key attributes of this 2018 edition is that it aligns with the color of the inline Predator currently being worn at the World Cup, continuing to tell a true holistic story. Want a pair? Well, unfortunately, the 1999 pairs released sold out every where they were listed within minutes. 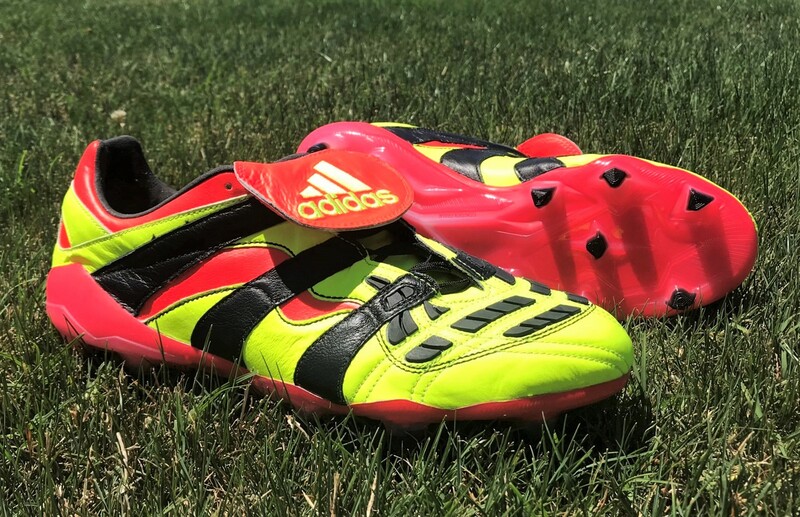 It is absolutely not surprising given their popularity and the fact adidas truly tried to replicate the original version. Each pair comes in a special edition box, with a boot bag and additional set of inserts. If you are seriously looking to get a pair and you have a budget, your only real hope right now is searching through the overpriced pairs on eBay.